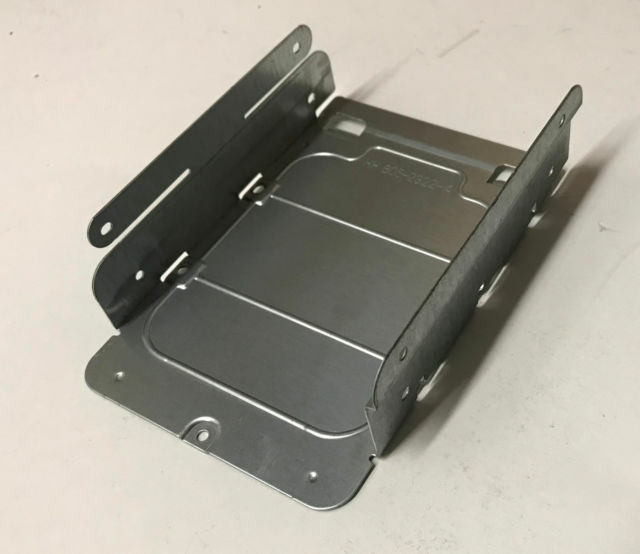 I'm looking to buy a two drive hard drive bracket for a PowerMac G4 (PCI) computer. I've searched eBay, but the only ones listed are from the USA and the sellers are wanting $60 to $100 for them with shipping. I'm not going to pay that much for a little piece of metal that will fasten a couple of $10 hard drives to a $20 computer. That would be madness! So if you have one of these brackets laying around and you want to turn it into cash, let me know. Last edited by bse5150; Dec 14th, 2018 at 11:59 PM. Reason: Attached picture of what it is that I'm looking for. Sorry, but mine is still in use, but seriously, you might want to just consider using good double-sided foam mounting tape. It worked well when I wanted to add an extra additional hard drive to my MDD Tower. And it already had the TwinDrive bracket as you show above. If you insist on going with the metal bracket route, maybe try some of the local computer fix it stores in your area. They may have something laying about. I'll hold out a little longer for the metal bracket. I'm not currently using the G4 for anything anyway. I seriously doubt I'll find one locally, as I live in the boonies. The people in this town still make fire by rubbing sticks together, plow the fields with oxen, and listen to the radio -- very primitive. lol. Maybe one will show up on ebay that isn't ridiculously priced. Stranger things have happened. ps. I own no iOS devices (never have) and wrote that a long time ago as a joke. Last edited by bse5150; Dec 15th, 2018 at 05:22 PM. I didn't check the shipping costs. Shipping on that is $16.00 USD. So, barring any unforeseen "import charges", it would cost me $30-something Canadian dollars. I may go with this one. Thanks.